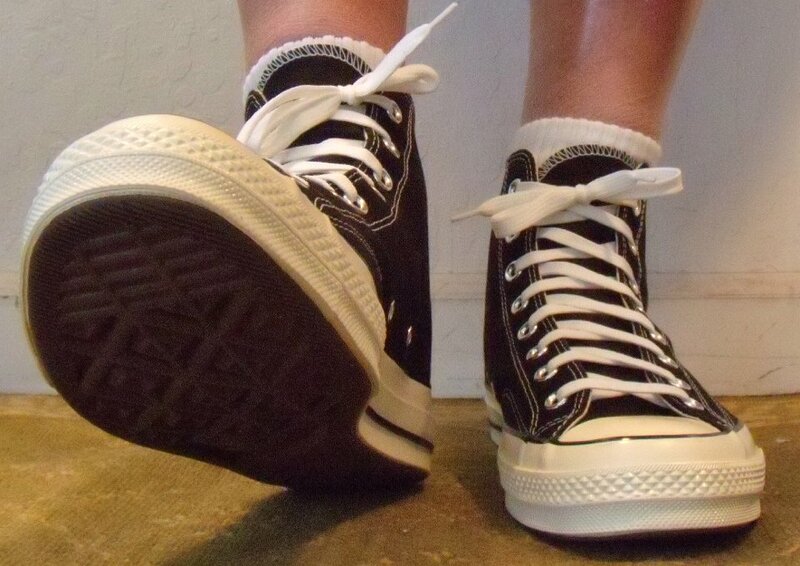 Photo gallery of the Converse Chuck '70 black high top sneaker. 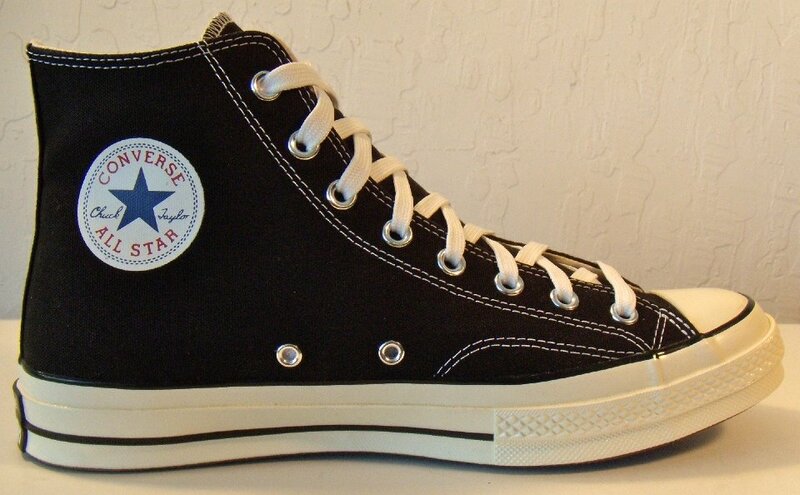 1 Chuck '70 Black High Tops Inside patch view of a right Chuck '70 black high top. 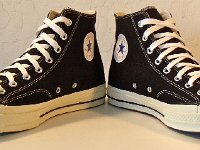 2 Chuck '70 Black High Tops Outside view of a right Chuck '70 black high top. 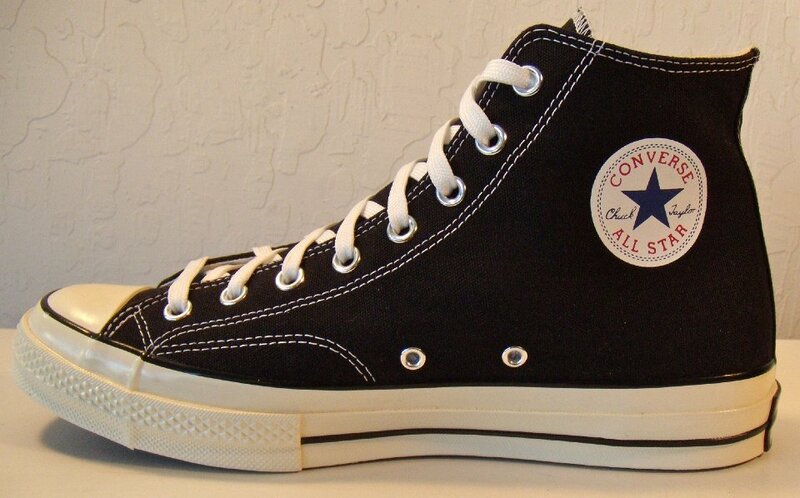 3 Chuck '70 Black High Tops Inside patch view of a left Chuck '70 black high top. 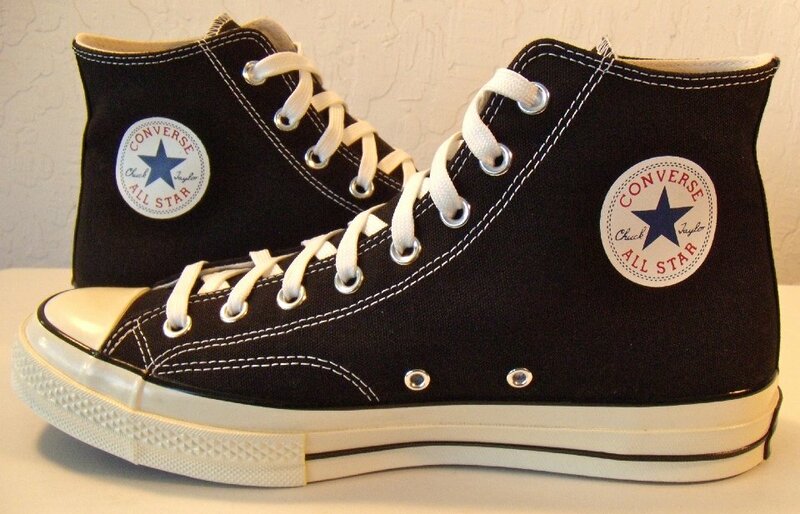 4 Chuck '70 Black High Tops Outside view of a left Chuck '70 black high top. 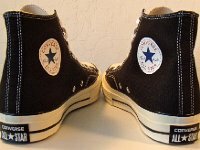 5 Chuck '70 Black High Tops Rear view of Chuck '70 black high tops. 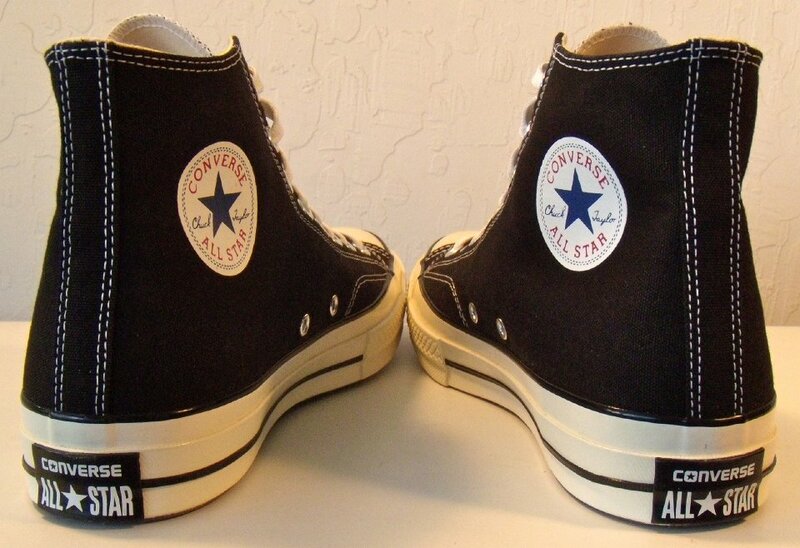 6 Chuck '70 Black High Tops Angled rear view of Chuck '70 black high tops. 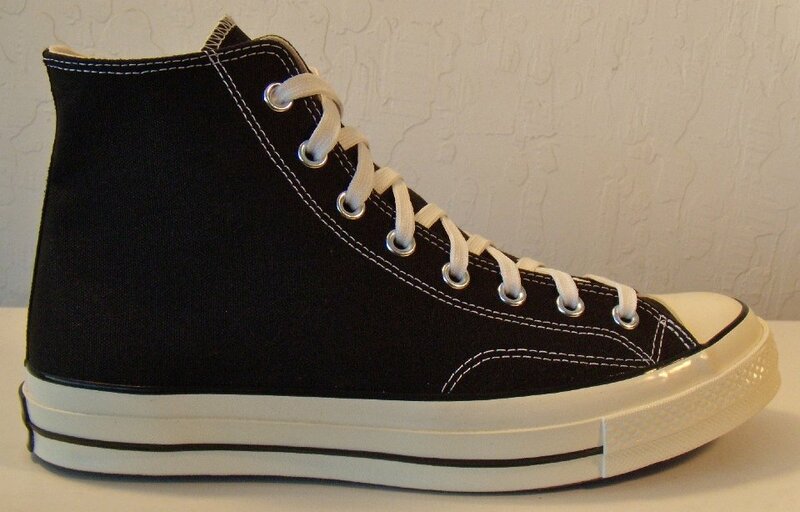 7 Chuck '70 Black High Tops Angled side view of Chuck '70 black high tops. 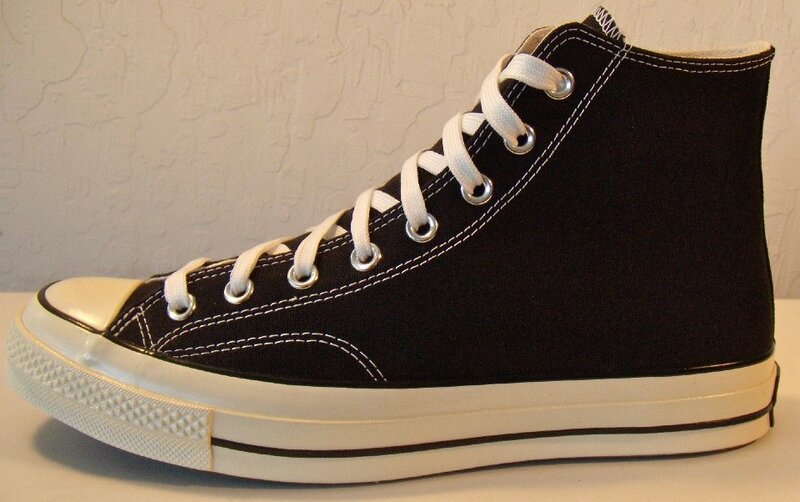 8 Chuck '70 Black High Tops Front view of Chuck '70 black high tops. 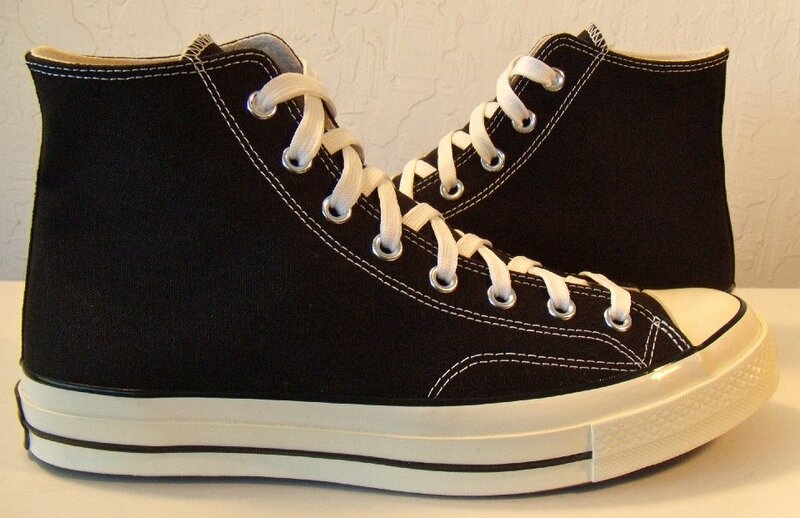 9 Chuck '70 Black High Tops Angled front view of Chuck '70 black high tops. 10 Chuck '70 Black High Tops Top view of Chuck '70 black high tops. 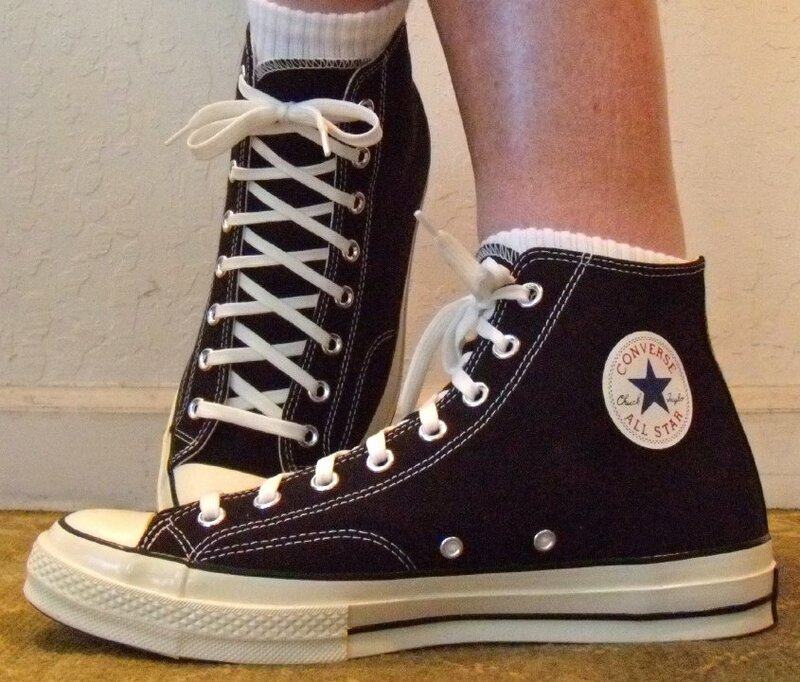 11 Chuck '70 Black High Tops Inside patch views of Chuck '70 black high tops. 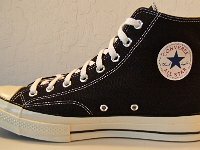 12 Chuck '70 Black High Tops Outside views of Chuck '70 black high tops. 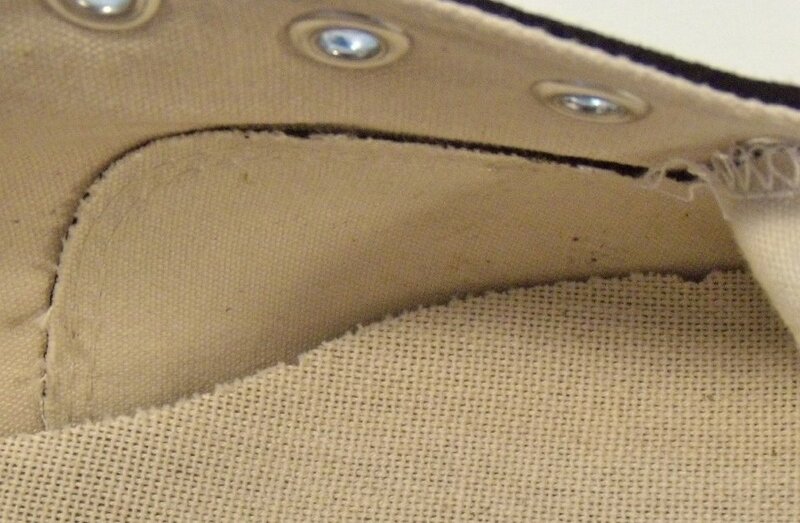 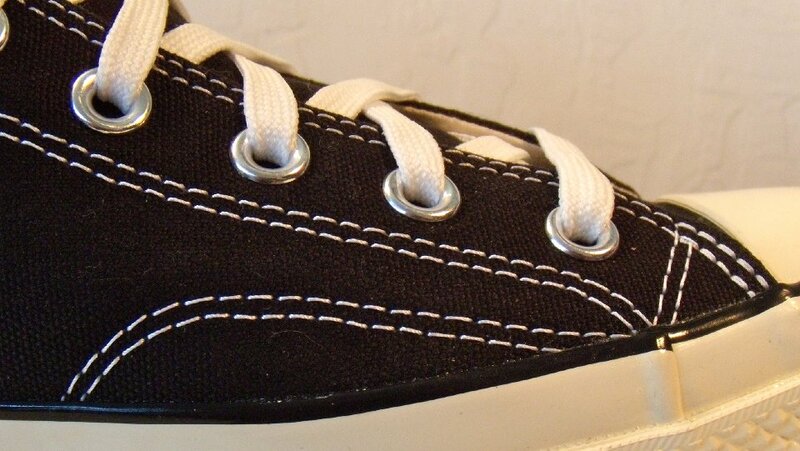 13 Chuck '70 Black High Tops Close up of the side stitching on a Chuck '70 black high top. 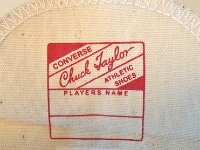 14 Chuck '70 Black High Tops Close up of the extra canvas piece inside a Chuck '70 black high top. 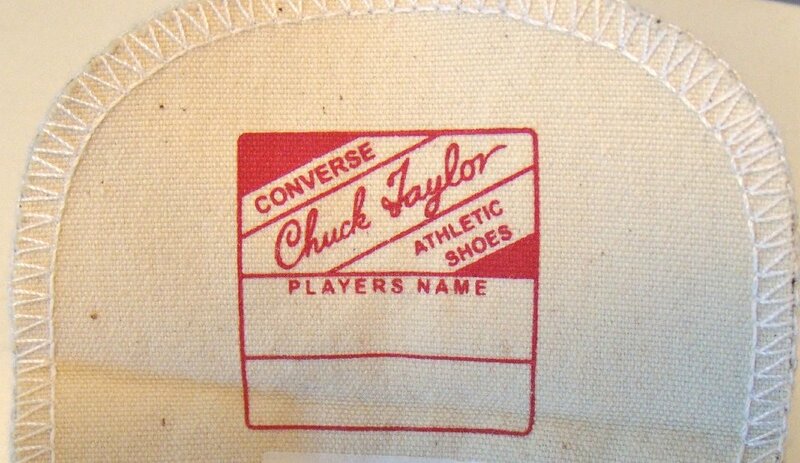 15 Chuck '70 Black High Tops Close up of the insole of a Chuck '70 black high top. 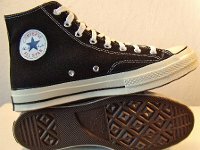 16 Chuck '70 Black High Tops Close up of the inside right tongue on Chuck '70 black high tops. 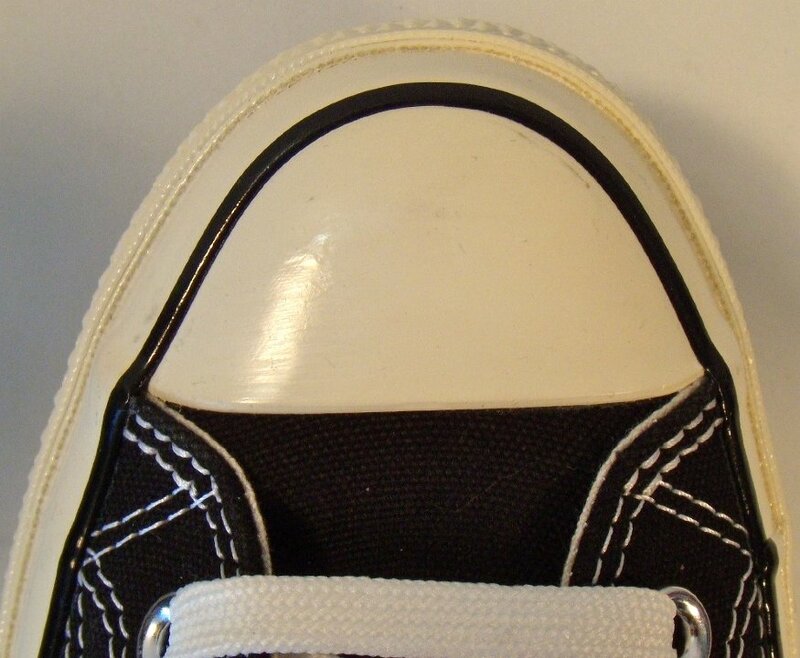 17 Chuck '70 Black High Tops Close up of the toe cap on a Chuck '70 black high top. 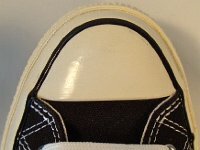 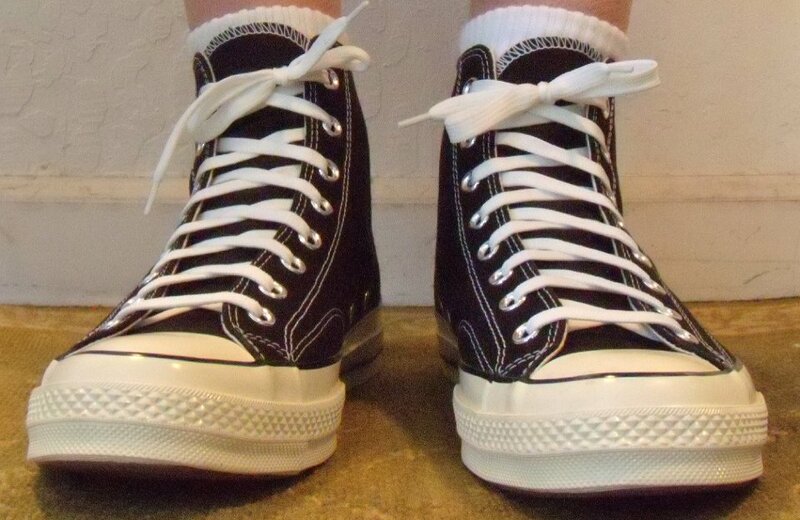 18 Chuck '70 Black High Tops Inside patch and sole views of Chuck '70 black high tops. 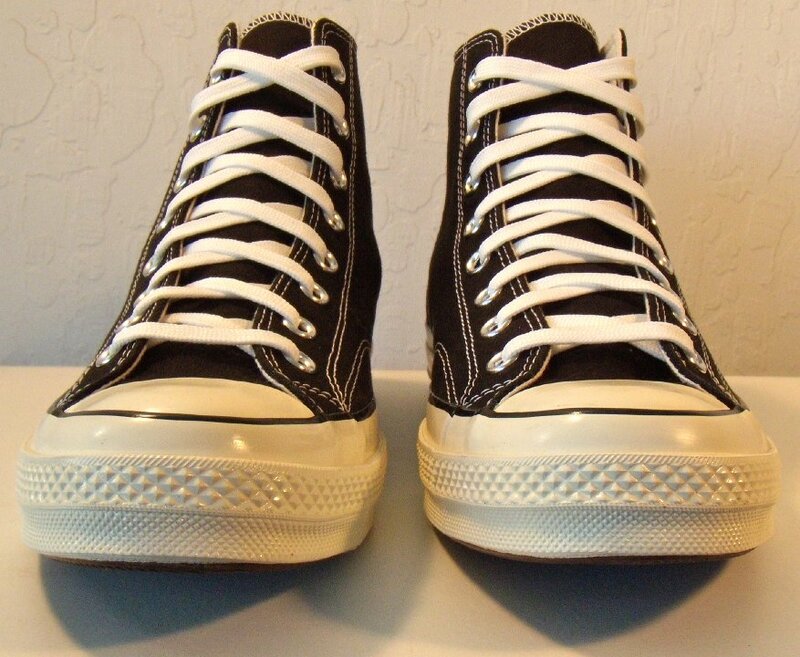 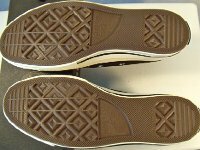 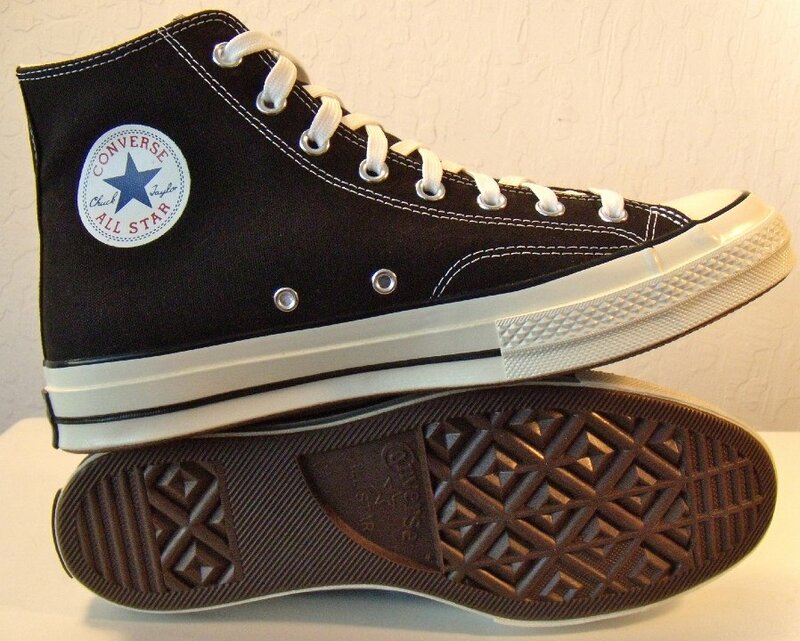 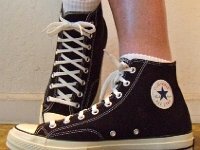 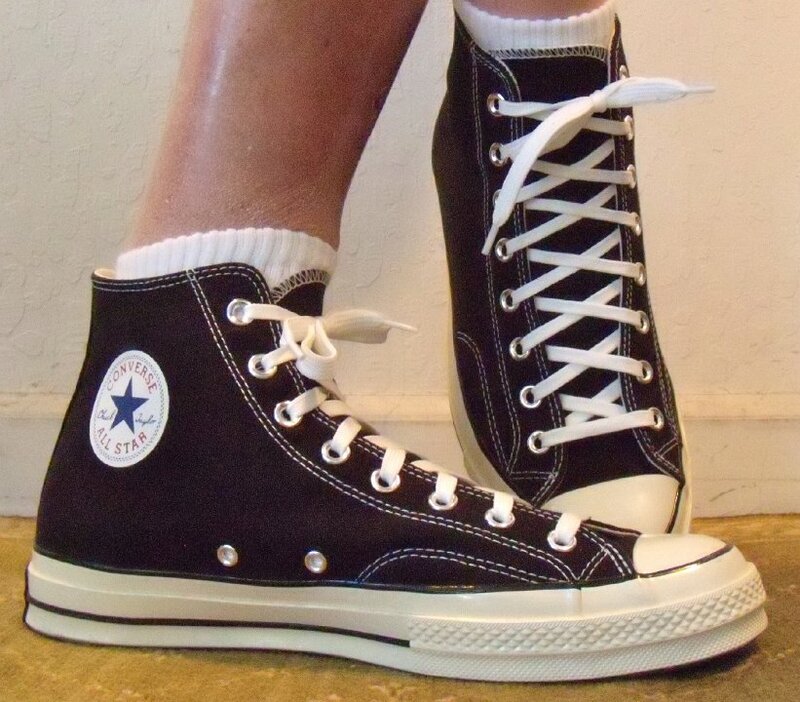 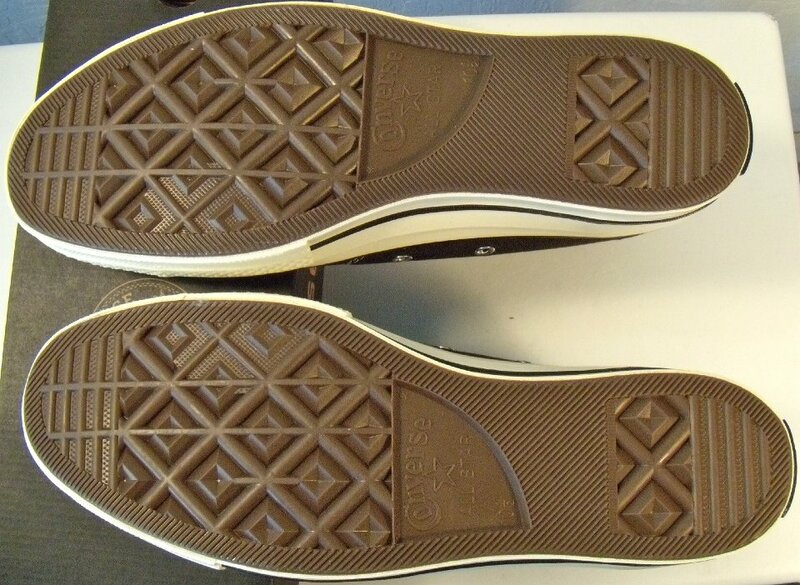 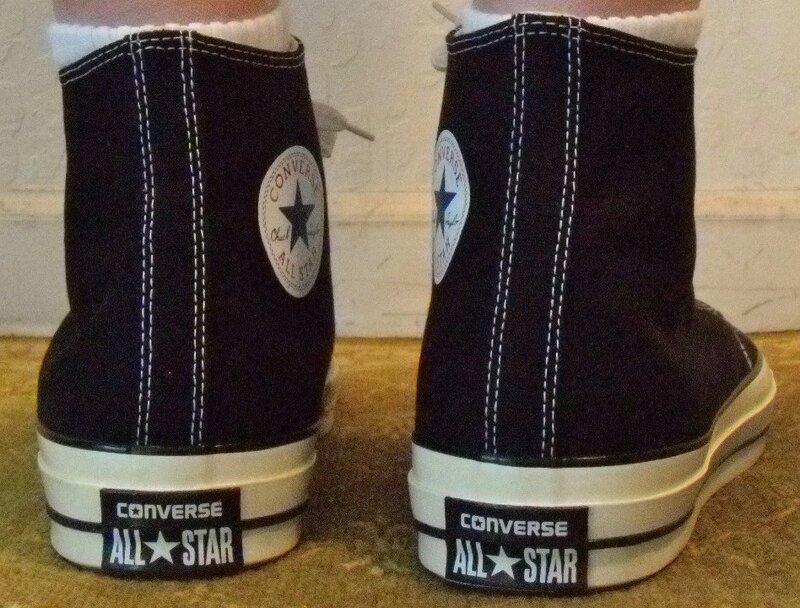 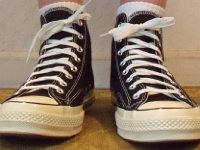 19 Chuck '70 Black High Tops The outer soles of Chuck '70 black high tops. 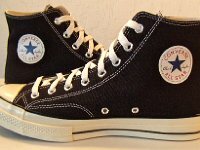 20 Chuck '70 Black High Tops Wearing Chuck '70 black high tops, front view 1. 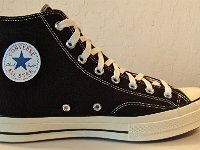 21 Chuck '70 Black High Tops Wearing Chuck '70 black high tops, front view 2. 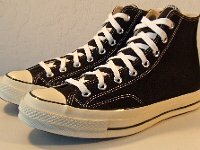 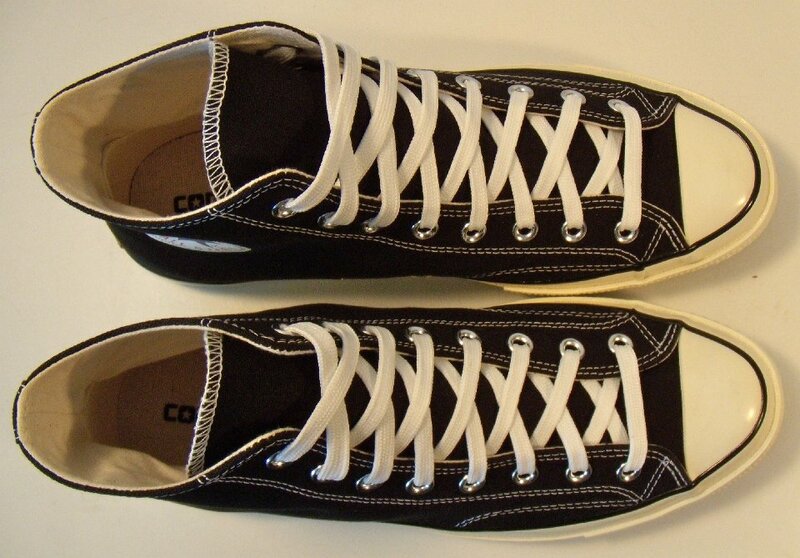 22 Chuck '70 Black High Tops Wearing Chuck '70 black high tops, left side view 1. 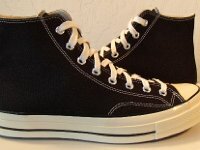 23 Chuck '70 Black High Tops Wearing Chuck '70 black high tops, left side view 2. 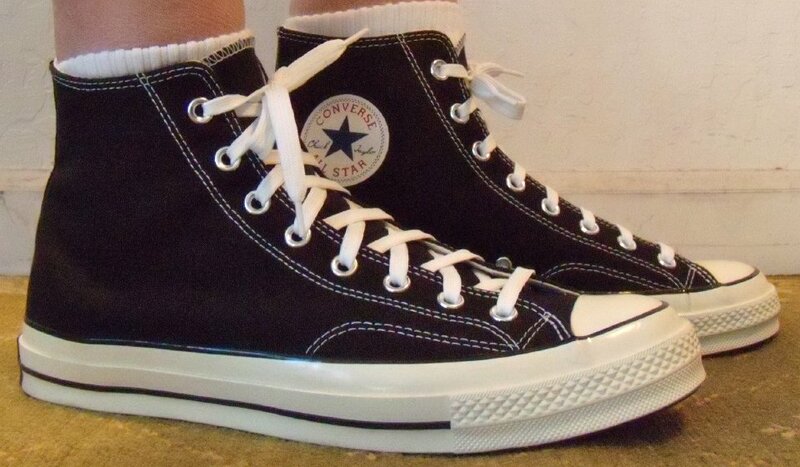 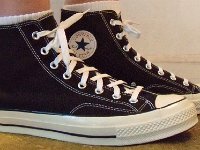 24 Chuck '70 Black High Tops Wearing Chuck '70 black high tops, rear view 1. 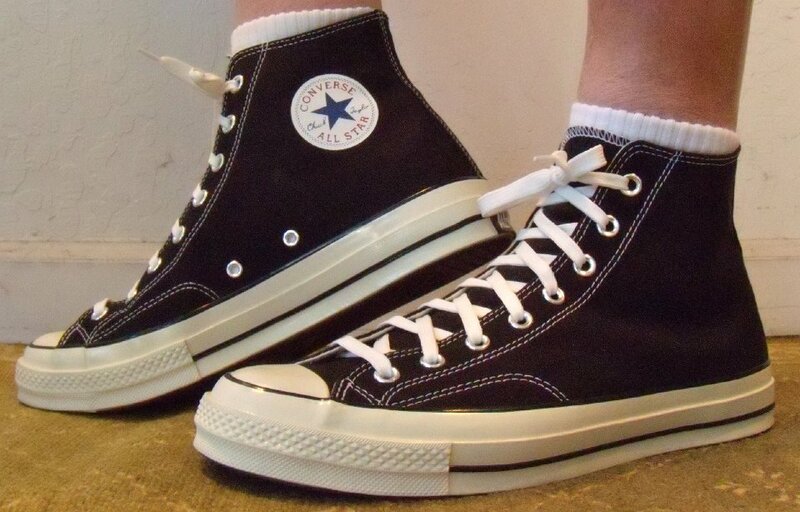 25 Chuck '70 Black High Tops Wearing Chuck '70 black high tops, rear view 2. 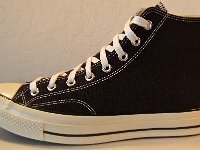 26 Chuck '70 Black High Tops Wearing Chuck '70 black high tops, right view 1. 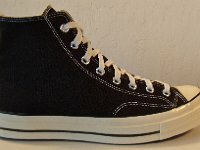 27 Chuck '70 Black High Tops Wearing Chuck '70 black high tops, right view 2. 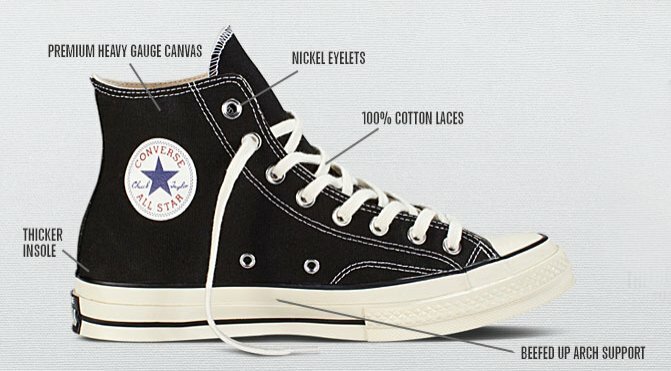 28 Chuck '70 Black High Tops Diagram of some of the features on a Chuck '70 black high top. 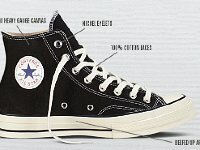 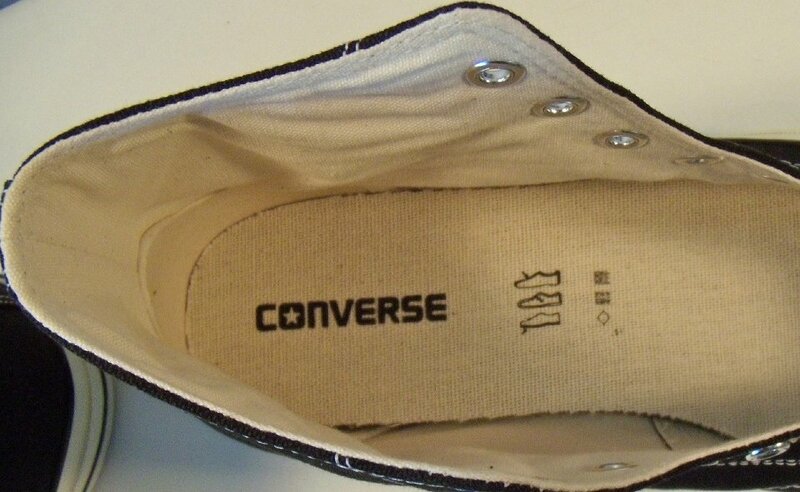 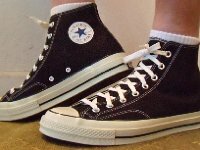 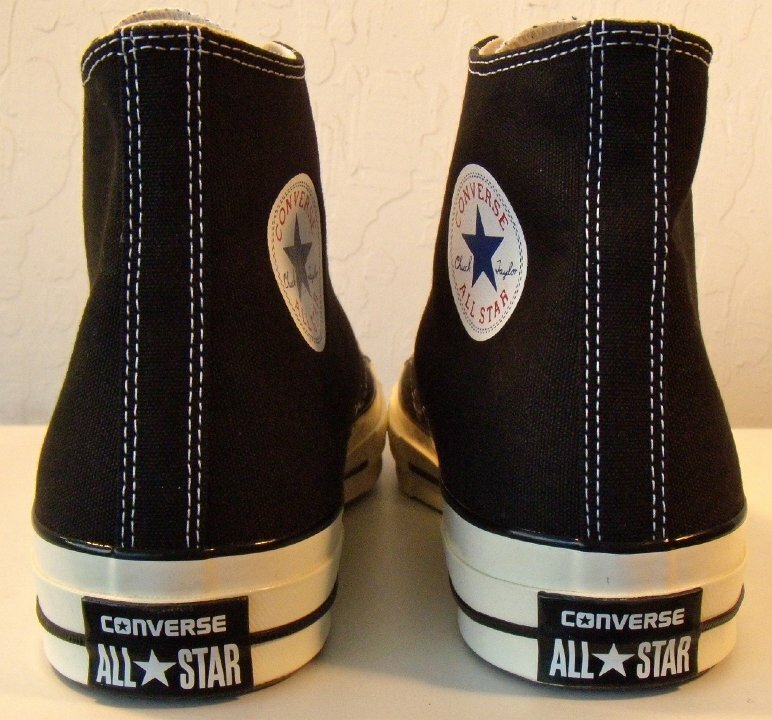 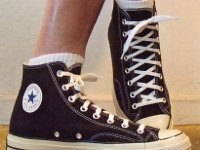 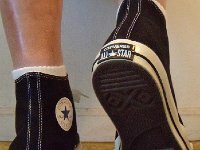 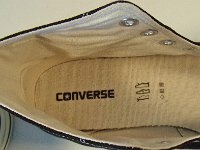 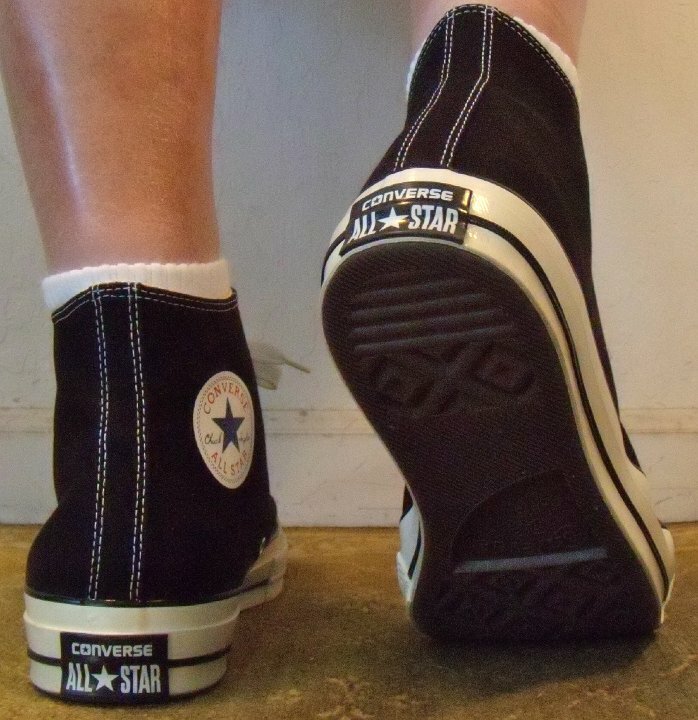 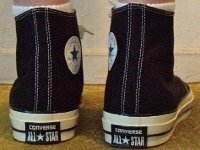 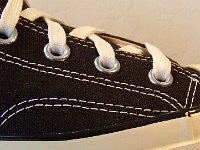 In January of 2014, Converse released the Chuck ‘70 series of Chuck Taylor All Star athletic shoes, a line based on the manufacturing standards for chucks in the 1970s. 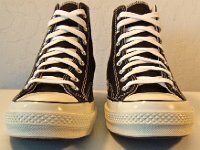 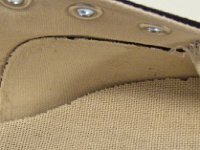 The exciting news about this new line of chucks is the restoration of many of the features that were taken out of the shoes starting in the late 1980s for the purpose of cutting costs. 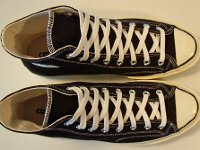 See a complete article about this model in the Articles section of The ChucksConnection.